Many songs attempt to lay claim to the title of earliest rock ‘n’ roll record, but one of the first—and strongest—contenders is “Rocket 88” by Jackie Brenston & His Delta Cats, one of the top R&B hits of 1951. 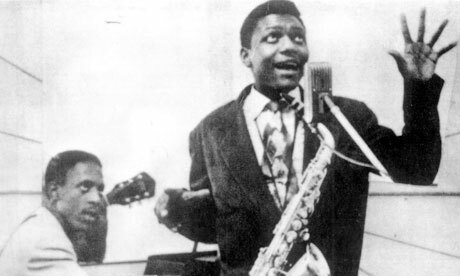 The band recorded the song in Memphis at the fabled Sun Studio. Owner Sam Phillips—who would discover and record Elvis 4 years later—produced the track and sent it along to Chess Records in Chicago. 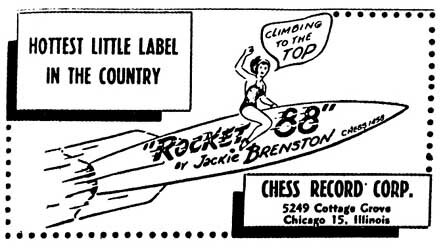 “Rocket 88” went to #1 on the R&B chart and helped launch Chess as one of the premier labels for blues, R&B, and early rock & roll. For some reason, they released the single under Brenston’s name, a state of affairs which—unsurprisingly—led to tensions within the band. Ike Turner grew understandably bitter—not only because of the lack of credit, but also because he made no money on a record which sold half a million copies. He spent the rest of the decade doing session work, putting together another band, and failing to hone his people skills — until he got the break of a lifetime when he met his wife, Tina. So boogie on down and blow your horn. Rock ‘n’ roll’s about to be born.